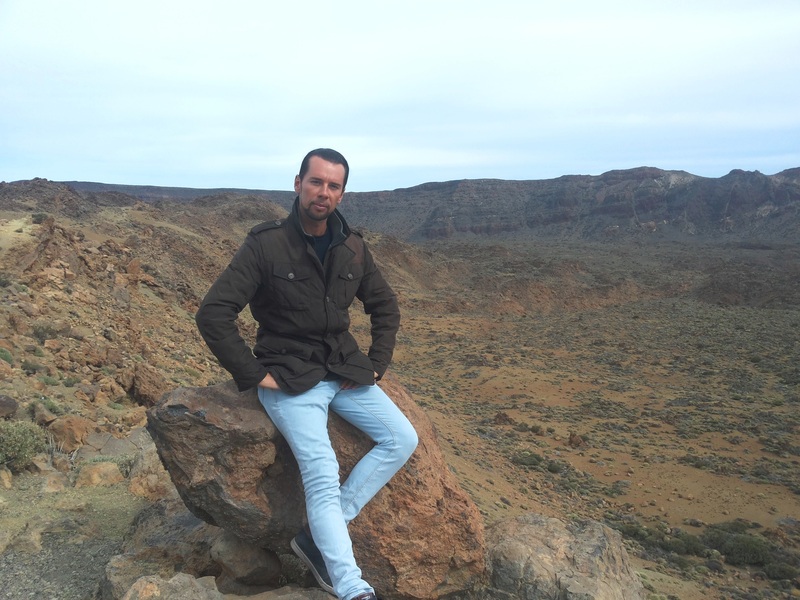 My name is Emanuele and I am the brain behind this website; with this small article I want to give an idea of what moving to Tenerife means in this period in time to any person who is dreaming about coming over. What can you expect? How is work? Is life expensive? Well, let me try to give an answer to these and a lot of other questions that you guys have in your mind while reading these lines. I moved to the island in April 2015, after 2 years spent in Berlin, I was looking for a good weather, I wanted to relax doing yoga on the beach and learn Spanish. As soon as I arrived I stayed for 1 month with a friend from Italy, he had arrived one year earlier and opened a bar with his girlfriend. So, I started to look for an apartment and after four weeks I found a nice one in the area of San Eugenio, which is considered a central location in the tourist area of Tenerife south. The apartment had one bedroom, one kitchen living room, one bathroom and a balcony, it was perfect for a single person like me; the price was 400 euros per month plus approximately 50 euro bills; now I could look for a job. I was very excited cause I did not known exactly what I would have found since I changed many jobs in my life and I am really opened minded; after a few CVs sent and brought in person I received a job offer as shop assistant at one of the many clothes shops in Playa de las Americas. The job was all right, even if I found a bit boring folding garments all day long, but what was not amazing was the wage, 750 euros per month for 36 hours of work per week, barely enough to pay the expences of a 32 years old guy like me. That gave me a reason to look for something else straight away and after a few weeks I found a job that seemed to be much more interesting and exciting, working as cameraman, filming jeep safaris in Tenerife and La Gomera (the second smallest island of the archipelago). To be honest I could never imagine to find such a job cause I had no experience with cameras, but since I speak German I had this offer because many of the tourists taking part to the excursions were German; in practice I had to produce a video memory of the trips and sell them a DVD. In the beginning it was hard as any thing new, but I started to like it a lot because of the many things I was learning from the tour guides who were providing interesting information to the tourists about the places , history, culture, plants and weather of Tenerife and La Gomera. I was happy but I was working a lot and again my salary was quite low; I had to film the island tour of Tenerife four times a week, a tour of about 180 km in nine hours, and twice a week I was sent to La Gomera , an excursion of eleven hours because of the one hour long travel by ferry to reach the island from Tenerife. So we are talking about 60 hours of work per week to earn an overage of 1000 euros per month; again not the best wage ever and not even a bit of free time to enjoy the beautiful place where I was living, only work, work, work. After almost one year my energy and enthusiasm was over, I wanted to have more time for myself and hopefully earn more money, even if I realized Tenerife did not offer good salaries in general; I started my job search one more time and found an opportunity as excursions seller, it was June 2016 and the summer season was about to start, I had heard that in this period you could make really good money in this industry, especially if you have language skills and since I speak English, German, Italian and Spanish I thought it was a good option for me. I was just a bit scared because in this job there was no minimum salary, it was commission based only and I had never tried such a thing before. Well I gave it a go and soon I realized that it was my way, my experience in sales, along with my language skills and knowledge of the island were helping me to succeed; I was finally earning a decent salary and working the right amount of hours, around 40 per week. Having a salary commission based only is a bit like being a lion waking up in the morning aware that it has to run after his pray to eat something, it definitely stimulates proactivity and target focusing and in fact it is like being already a little entrepreneur; after 5-6 months I was decided, I had to find a shop and open my own business in the excursions field; I started to look around for a nice spot in the tourist area at a decent price, mission impossible! Months of searching, hearing incredibly high prices for ridiculous places, I started to lose hope and feeling like giving up; then in August finally my chance, a shop in a central location at an affordable price. Unfortunately any single person around me was telling me that it was not a good place for my business, that others had tried before and could not make it. I was just sick of looking for a place and of my situation as employee, so I just listened to myself, got the shop and opened “Tenerife Trips” in August 2017. It is July 2018 now that I am writing, I am very happy about my business and I have employed two guys to help me with the just started summer season. In conclusion with this article I want to say to everybody that Tenerife is definitely not a paradise to work, it is indeed quite hard to find a good job, but still if you are hard worker, prepared and believe in yourself you can surely find your way as I did; once you overcome this obstacle the rest is easy, weather is fantastic, life is in general less expensive than in western Europe and the atmosphere is relaxed. Only finding an apartment remain an issue, it is becoming more and more difficult to find an accommodation and the prices are going higher and higher, this is due to the increase of tourism of the latest years, hopefully with the re-opening of other important tourist destinations such as Egypt and Turkey, prices will stop raising and maybe drop a bit.